Showcasing the likes of Marble, Thornbridge, Ilkley & Darkstar, this months lot are the creative genius upstarts that are BREW YORK! The brewery consists of a 20 hl Brewhouse and over 260 HL in Fermenting and Conditioning capacity. 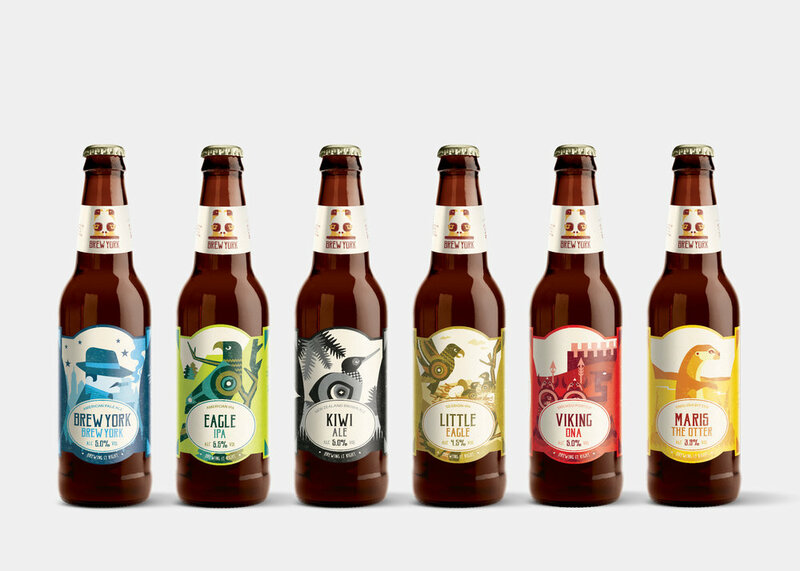 This gives us the ability to produce a core range of 6 beers and the flexibility to produce the more ‘out there’ seasonal and one-off beers that really excites us. Our beer is produced in Cask, Keg & Can and sold throughout the UK. It all began over a beer….. or maybe a few beers! Having met on a friend's stag do, Wayne & Lee had a lot in common and a healthy taste for beer was top of the list. Several years later at the same friend’s bbq, the quality of Wayne’s home-brew produced using the ‘all grain method' sparked Lee’s 20 year old hobby back into life and a budding partnership was formed. Before you knew it they were regular brewing together at every opportunity. A few homebrew competitions and a debut at a friend’s wedding, gave the guys the right amount of confidence that what they were brewing had a lot of potential. Eventually the regularly occurring pub conversation of ‘what if we were to build our own brewery?!?! ?’ became more than just a drunken pipe dream with the creation of Brew York.In July 2015 we began the long journey to acquiring planning permission to convert a large warehouse just off Walmgate into a brewery. Believe it or not, only the second brewery within York City walls. Several months later and in March 2016, the first beer was brewed on the premises, a beer that has gone on to win several awards, Viking DNA. This beer was a nod to the heritage of the brewery, which was the location where the Jorvik Viking centre was originally built. The first twelve months since brewing the first beer have been a whirlwind. Fermentation capacity has quadrupled from 60hl to 260hl and production has moved from Cask & Bottle, to Cask, Keg & Can. Several successful events have been hosted at the Brewery and a handful of beer awards have been won. A broader and more eclectic range of brews with much more of it making it into Cans. We see our cans as well as more beer festival appearances as the best route to much more people getting to know and experience what Brew York is all about. We have a few festivals lined up and some new brews coming which we are super excited about (could one be the next Tonkoko? ), but as we have learned in our whirlwind first year a lot can change in a short period of time so you are going to have to keep checking back to find out where to find us and what interesting brew is coming when!